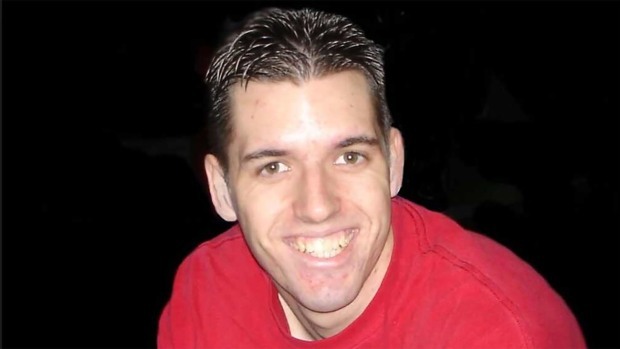 It's been over 12 years since Chico State University student Matt Carrington died in a gruesome fraternity hazing ritual. It was a chilly February night during "Hell Week" — a 5-day hazing spree — when the 21-year-old pledge was ordered to do calisthenics in the sewage-soaked basement of the Chi Tau fraternity house. For hours, fraternity brothers forced Carrington and another student to drink water from a five-gallon jug, which they repeatedly refilled. Large fans blasted the two pledges with icy cold air as they vomited and urinated on themselves. Later that night, Carrington collapsed, drained of life-sustaining electrolytes. It would be more than an hour before anyone would call for help. The water intoxication ritual — a 20-year tradition at the fraternity — caused swelling of his brain, seizures and, ultimately, heart failure. Carrington's mother, Debbie Smith, relives that day over and over: a voice on the phone telling her that Carrington was critically ill, jumping in the car and racing to the Chico hospital only to arrive too late, identifying her son as he lay on a cold gurney. It all amounts to a briar patch of painful memories and her only recourse has been to find purpose from within the thicket. Matt Carrington, 21, died as a result of a fraternity hazing ritual while attending Chico State University. Once hounded by the press, Smith is now courting it in hopes of raising awareness about her burgeoning advocacy group called the Anti-Hazing Awareness Movement or AHA! Movement for short. She successfully petitioned five Bay Area cities — Concord, Clayton, Martinez, Pleasant Hill and Pittsburg — to designate July as Anti-Hazing Awareness Month. And, on August 25, she is hosting what she hopes will be a massive fundraiser to sustain future advocacy work in middle schools. To her credit, Smith has already made extraordinary strides. “Matt’s Law,” the famous piece of California legislation that allows for felony prosecution in hazing cases, was inspired by her son’s death. She lobbied hard for its passage in 2006. But that law only focuses on what happens after a hazing accident has occurred, and Smith is laser-focused on prevention. She has spent countless hours pouring over research about hazing, becoming a reluctant expert on a topic that, through her eldest son's absence, haunts her daily. Friends and family describe Smith’s mission as unrelenting — if there’s a new case, a new study, she knows about it. Her son, Travis, said he admired her tenacity and unwavering dedication to both her family and her advocacy. Senator Tom Torlakson, D-Anitoch (left) and Debbie Smith (center) and attorney Alex Grab (right) introduced Senate Bill 1454 - better known as Matt's Law - to the Senate's Public Safety Committee in 2006. Championed by Debbie and other supporters, the bill passed unanimously. Although universities across the country have imposed zero-tolerance policies on hazing, similar rituals have claimed 30 more lives since Carrington was killed. On February 2, 2017 — the 12th anniversary of Carrington's death — a 19-year-old man pledging a Penn State fraternity sustained major head trauma after participating in a drinking challenge called "The Gauntlet." Eighteen people have been charged with felonies, including reckless endangerment, tampering with evidence, and involuntary manslaughter, in connection with the teen's death. Smith believes such incidents are bound to follow unless the hazing culture is addressed early on in classrooms. By the time students arrive at university, they have already been conditioned to accept hazing as an integral part of the college experience, she said. A University of Maine study found that 55 percent of college students involved in groups and organizations have experienced or witnessed hazing — and that's a more conservative estimate. Other studies say the number is as high as 65 or 70 percent. Debbie Smith lectures to a high school class in 2014. She is hoping to expand her advocacy group to work with middle school students. To combat that normalization, Smith said that hazing should be confronted with the same severity and repetition that goes into an anti-bullying curriculum. Parents, too, need to be involved in the discussion. When Smith speaks about her conversations with Carrington before he died, it’s clear she wishes she knew more. When she pushed her son to answer questions, he said he “didn’t want to talk about it.” The shame and secrecy associated with being hazed prevents constructive dialogue, she believes. And, even when a person recognizes its dangers, realizing that it’s OK to back out — to say “I’ve had enough” — is a difficult lesson in itself. The threat of ostracization from a social clique can be a powerful incentive, especially when someone has already weathered exhaustion and humiliation in order to belong, Smith said. She describes her son as someone who always strived to do his best, a stalwart who overcame whatever hurdles crossed his path. Those same qualities that made Carrington a good student, a good friend, a good athlete, also made him a perfect victim for hazing. And there are others like him, who Smith is hell-bent on reaching. You can find out more about the Anti-Hazing Awareness Movement on its website.